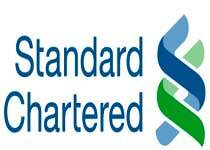 Standard Chartered Bank Nigeria is set to recruit for the positions of a suitable and qualified Account Opening and CDD Specialist - We attract talented individuals. Not only can they give you the benefit of their experience, they also reveal a closer, more personal look at the wide range of global opportunities we offer. At the core of the Group's people strategy is our focus on employee engagement. Engagement is a key driver of productivity and performance, which creates the foundation of our performance culture. We encourage and focus on the behaviours that bring out the very best from every employee, assessing their performance not just on results but on how those results were achieved. To further embed these behaviours we have a remuneration programme in place, carefully designed to incentivise our employees to live our values every day.